Ben Lippen School is a ministry of Columbia International University. Columbia International University is accredited by the Commission on Colleges of the Southern Association of Colleges and Schools to award degrees at the associate, baccalaureate, master’s, first professional, and doctoral levels. Ben Lippen School is accredited by AdvancEd and the Association of Christian Schools International (ACSI). 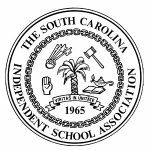 Ben Lippen is a member of SCISA (South Carolina Independent School Association). SCISA provides a structure within which member schools share an awareness of mutual problems and experiences, profit from each others’ handling of these problems, and have the advantage in the operation of their respective schools and the expertise and data that is collected by and available to the Association.